Appearance: In this wines 8th year sees the colour just starting to change ever so slightly from deep cherry to hints of brick red. 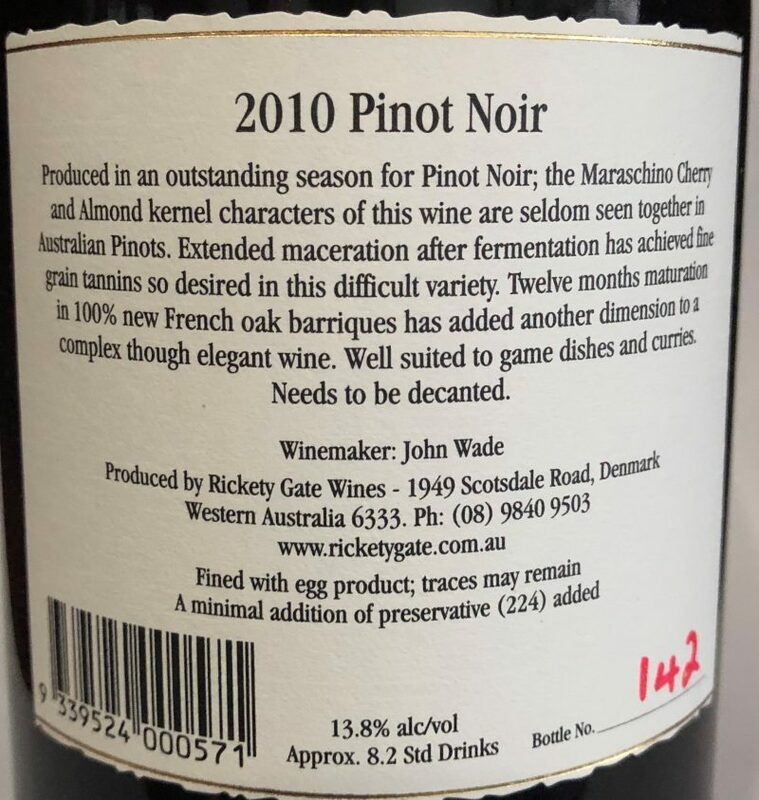 Aromas: Obvious are the Maraschino Cherry and Almond kernel characters of this wine; these are seldom seen together in Australian Pinot Noir. Vinification: Extended maceration after fermentation has achieved fine grain tannins so desired in this difficult variety. Twelve months maturation in 100% new French oak barriques has added another dimension to a complex though elegant wine. Food: Well suited to game dishes and light curries. 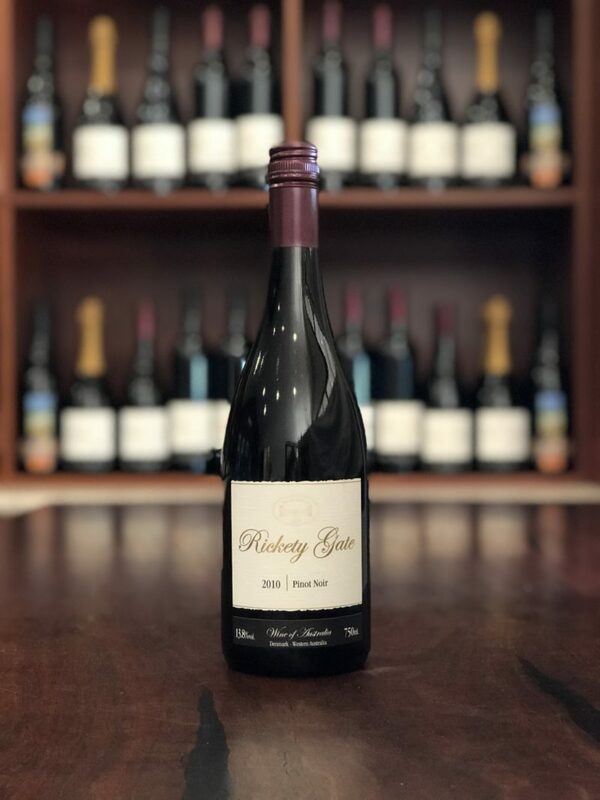 Produced in an outstanding season for Pinot Noir; the Maraschino Cherry and Almond kernel characters of this wine are seldom seen together in Australian Pinots. Extended maceration after fermentation has achieved fine grain tannins so desired in this difficult variety. Twelve months maturation in 100% new French oak barriques has added another dimension to a complex though elegant wine. A very elegant but intense wine style highly sought after by wine aficionados worldwide. Well suited to game dishes and curries.